MultiBrief: New bill looks to alleviate Texas’ feral hog problem, but will anything change? The Texas Legislature is back in session for the first time since 2017. Compared to the furor surrounding the use of poison to control the feral hog population in Texas during the last session of the legislature, things are relatively quiet regarding legislation directly related to outdoor activities this time around. However, two identical bills in the House and Senate might look interesting for residents concerned about the feral hog problem in Texas: House Bill 3550 and Senate Bill 317. Introduced by Rep. John Cyrier (R-Bastrop) and Sen. Bryan Hughes (R-Mineola), HB 3550 and SB 317 would remove the existing requirement to possess a hunting license to kill feral hogs on private land in Texas. 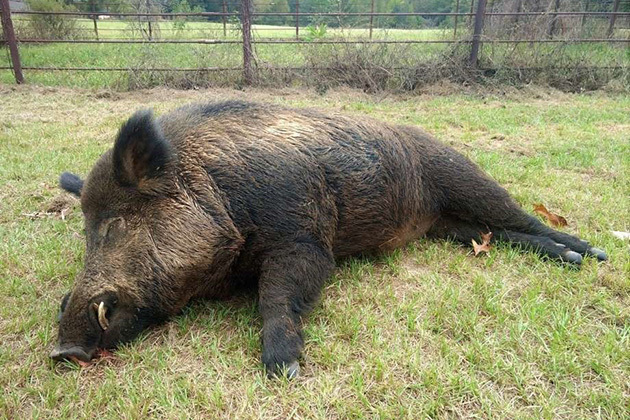 Current regulations in Texas allow people to kill feral hogs that are destroying their property without a hunting license. For instance, a farmer does not need a license to legally take feral hogs while they are in the act of destroying his or her crops. However, it would be illegal for that same farmer to shoot a hog that was merely present on or transiting across his or her land unless the farmer had a valid hunting license. The proposed legislation would allow anyone, as long as they have landowner permission, to take feral hogs on private property at any time and using any method (except poison) without a Texas hunting license. Assuming the proposed legislation becomes law, which is not a sure thing at this point, how much will it change things with the growing feral hog population in Texas? Feral hogs are already classified as a "non-protected" species in Texas. This means there are no restrictions on means and methods of take, closed seasons, or bag limits for hunters pursuing hogs on private property with landowner permission. Additionally, legislation in previous years has also legalized hunting feral hogs from helicopters and even hot air balloons (yes, hot air balloons). Removing the requirement to possess a hunting license to take feral hogs not engaged in depredation will very likely result in the removal of a few more hogs that might not have otherwise been harvested, but this change alone probably won’t be enough to move the needle very much in the grand scheme of things. Even so, it’s still a positive development. My personal opinion is that a market-based solution to the feral hog problem has the best odds of long-term success and this proposed legislation is certainly a step in the right direction. Stay tuned for more updates on the progress of these bills though the end of this legislative session on May 27.